Usually, the first post of the year (or maybe the last one) is dedicated to recaps. A tribute to the milestones that marked the passing year. Unfortunately, thanks to my super large backlog, I think the wiser recourse is for me to try and tame it. 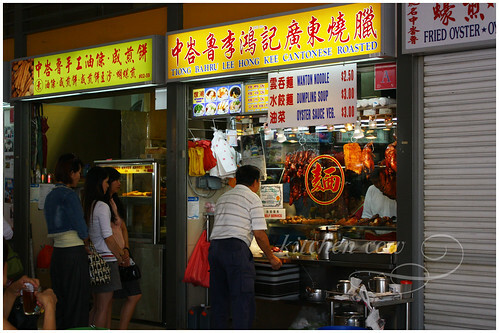 So, join me as I go back and revisit 2009’s Singapore vacations. Sure enough, I was rewarded with a plate of flavorful Duck Rice. The meat was tender and the sauce, while heavy, worked well together. 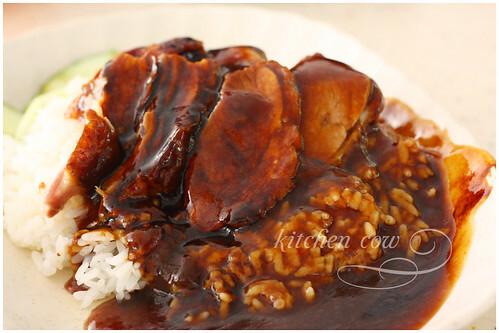 Heaped on a generous mound of steamed rice and washed down with a can of Seasons Iced Tea, I was happily munching away. Definitely a delicious start to a yummy vacation. The next day, we were off bright and early, touring the city and enjoying all sorts of touristy things. It was only understandable that we were famished come lunch time. We stopped to grab a bite at the Maxwell Center Food Court in Chinatown. Can you imagine how excited I was? 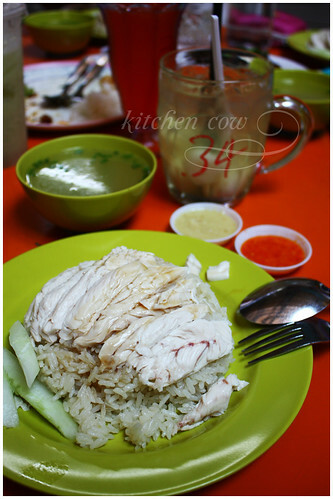 Reunited with Tian-tian’s Hainanese Chicken, I was in heaven. It was every bit as good as I remembered. Grabbing a mug of Lychee Juice, I was truly, absolutely happy. The evening of day 2, we wandered off to Makansutra along Marina Bay to go on a food trip that can satisfy our various cravings. 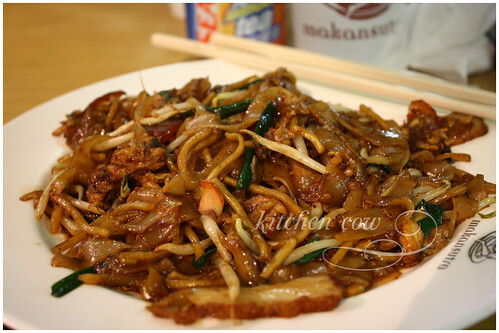 This time around, I tried the Char Kway Teow there. Smokey and spicy, it was good, although I prefer the one I tried at Hokkien Me, which was chockful of cockles. 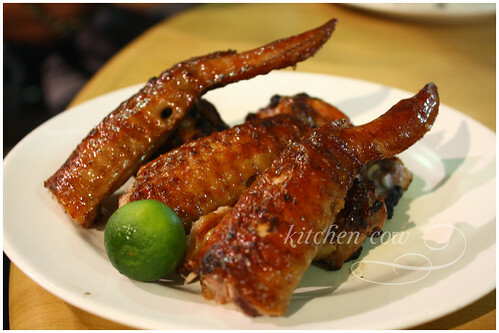 I also grabbed a plate of Huat-huat’s Barbecue Chicken Wings. It was a pleasant memory, once again from last year. Thankfully, memory served me right as it was tasty with a zing, thanks to the citrusy-spicy dipping sauce it was served with. Jen, who had been craving for Chili Crabs since Day 1 finally got her wish. I had a small taste when she offered. It was quite different from the Chili Crab I tried the year before from No Signboard. 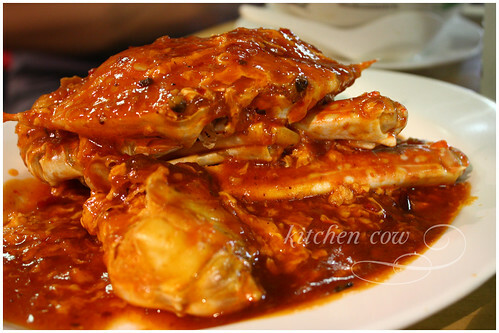 While No Signboard’s Chili Crab sauce was thick and mouthwateringly gravy-like, the one from Glutton Bay was sticky-sweet and spicy. My personal preference is still No Signboard’s. Our table was laden with food that evening. Truth be told, the dishes pwned us, as we left some food uneaten. Unfortunate, yes. But stuffed and happy as we were, it was definitely a successful evening.